Anime these days are getting far more predictable than it has ever been in the past. 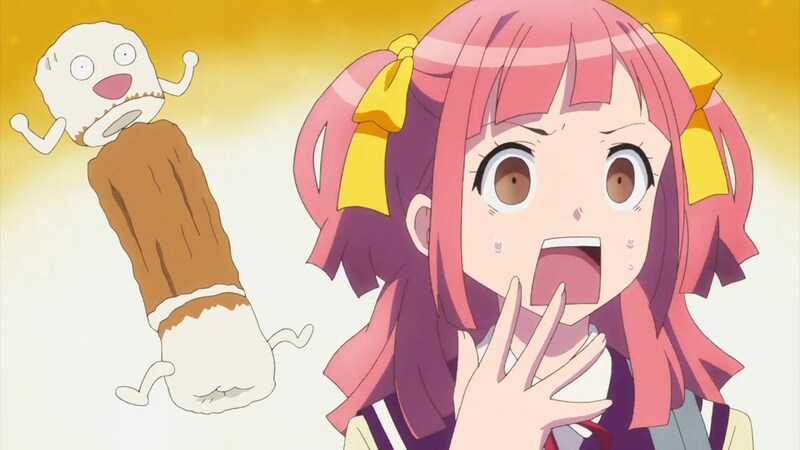 Nowadays, studios and companies just choose to adapt a light novel or a manga, or even a popular video game to the animated form we all know as anime. Thanks to the rise of several small studios and several remaining anime studios in japan, now we have over 30 titles airing each week, with most of them the adaptations of such, and to the ire of some people,some of these adaptations are not animated up until it’s completion, making it an incomplete anime. However, in the days of old, this was definitely not the case. Back then, it was original anime work after another, and most of them are making an impact in their own notable way. But, the number of original anime are waning in this present day. This is a shame though, since I really love original anime, as there are ups to them, and downs as well. Take a look at Neon Genesis Evangelion and Gakkou no Kaidan. While the first one I mentioned immediately comes to mind and does not need much explaining, one might wonder what is the second one that I have just mentioned and perhaps, needs a lot of explaining to do. 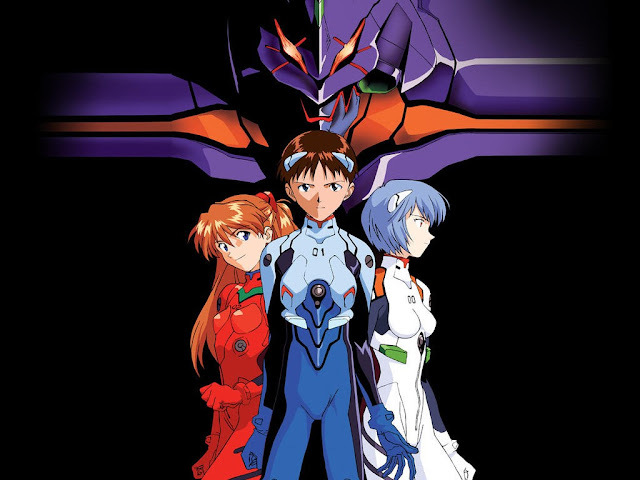 Neon Genesis Evangelion is a mecha anime centered around religion, which made headline back in the mid of 90’s era and was that era’s most popular anime show according to some sources and nowadays, it is known as a franchise instead of an anime series, branching out to so many merchandise and other forms of media. The other one is Gakkou no Kaidan. There are several incarnation with the same title as this one, but the one I am trying to explain is the anime series that aired around 2000, known in the west as Ghost Stories. 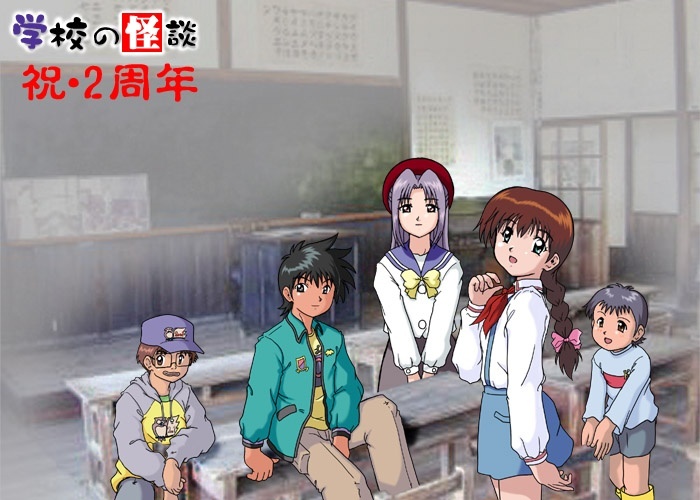 It revolves around a group of students trying to solve mysteries around the ghosts within their neighborhood, or something like that. Neon Genesis Evangelion was wildly popular during it's airing and began a franchise. Whereas Gakkou no Kaidan flounders before, during, and after airing. Both are original anime works, and there are plenty more of original anime back in that era, and I wanted to emphasize on both of this anime. Despite their status, one of them is very popular and managed to spark a media franchise, while the other one just fade away and be classified as obsolete right about now. Those examples are the future of original anime work, when they are succesfull and when they are less successful. I shall delve into that more. And at this opportunity, I would like to offer my own insight regarding such matter. Why is the number of original anime works decrease with each year pass, and what is the ups and down that the original anime have over their adaptation counterpart? First of all, original anime is a good thing. It allows a more creative outlook and directions, which is not limited in what an adaptation should have. They normally had vision of what this anime hold for both the studio and the audience in the future, clear goal to fulfill, and a more freedom. However, with freedom comes responsibility. Despite the freedom that an original anime work presents a studio, that particular studio should be careful on what they adapt. Does this kind of theme already exist in the past? Do we go with cliché or do we innovate? Should we trust this work with a rookie animator or ask the veteran to do the job altogether? Do we put in a lot of budget or not? Those kind of decisions will be the gear that an original anime need in order to be good and capitalize on their status. Second of all, An original anime work that is announced, either on a magazine, social media, or TV altogether will come across as an unknown entity to most of the audience and will make them spin their head and asks question of what this anime will bring about. In this case, a studio will need to make sure the trailer is good so that the viewer will bat an eye on this series, before putting on a good first episode in order to land some audience. In short, a good marketing is what an original anime need. In short, they need a very good marketing campaign. 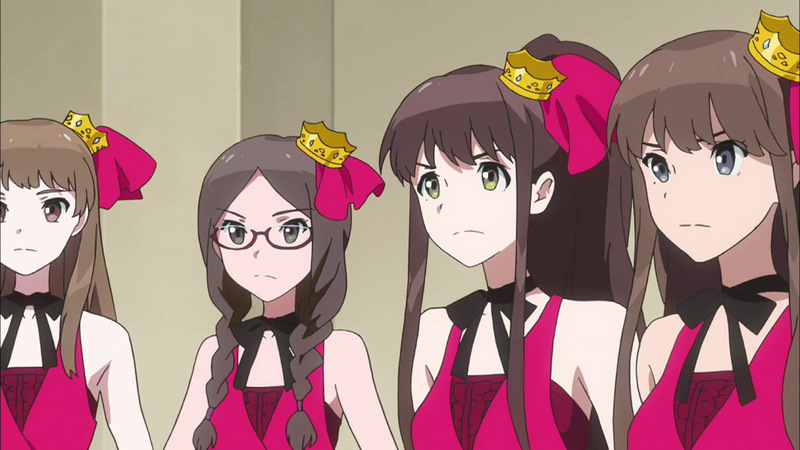 Wake-Up Girls! is a prime example of an anime getting a great marketing campaign, in which it was thrusted upon by it's sponsor and was trusted as a good franchise. However, it's lackluster success was due to the fact that the idol market was already dominated by both Love Live! School Idol Project and Idolmasters. People have been saying that the franchise itself is okay, but it is not enough to compete with the already existing idol franchise juggernaut. Wake-Up Girls was given a fairly large faith by it's producer and that was a good thing. First impression is very crucial for everything, and that includes anime. If the first episode comes bad, then that anime is bound to be a failure. However, a first episode done right will make the audience understand the anime and therefore, want to continue watch this series. Kabaneri of the Iron Fortress managed to do a very great first impression when it debuted, mainly due to the fact that it was helmed by the studio which was responsible for the production of Shingeki no Kyojin, with many people liking the atmosphere and the plot it serves to the audience. Thirdly, it needs to have something to hook up the audience. Be it a popular writer or director, popular studio, or even popular seiyuu. Seiyuu is one of the most important thing for an original anime in my opinion, as by putting a well-known seiyuu on an original work might put that original anime on the radar of the fanbase of the said seiyuu. K-Project also managed to land several audiences by putting in a lot of superstars in the show. Several articles in the web even describes the project as being filled in with ensemble stars of the anime industry. 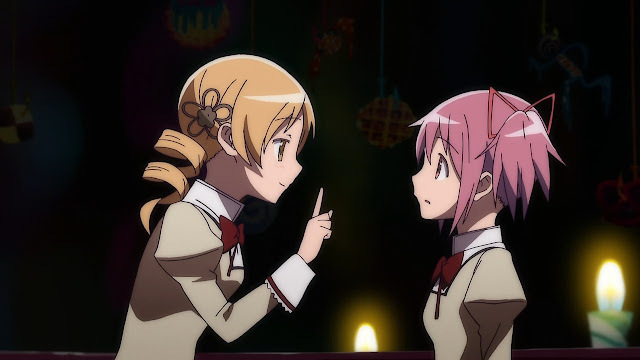 Mahou Shoujo Madoka Magica managed to hook up the audience in the third episode, when the unexpected happen, which sends the public crazy and looking for answers. According to the recently-airing anime Anime-Gatari, this is called the Three-Ep cutting, where most anime had their turning point in the third episode and this will be the episode where the audience might choose between sticking with the anime or drop it altogether. However, Mahou Shoujo Madoka Magica does so at the third episode, and there might be plenty people who dropped the series early due to the lukewarm first impression. The Three-ep cutting was one of the main trope that original anime needs to avoid. And the hardest downside of this all is the fanbase. An original anime could not best even a less anticipated adaptation of a less-popular anime as that adaptation surely has a fanbase going within them. Would you watch an adaptation of Addicted to Curry? Or would you rather watch an original anime regarding cooking? Addicted to Curry is a not-so popular manga series, yet it still has some fanbase and, as a result, the number of people who would prefer this adaptation over the original anime centered around cooking would be higher. Over the years, there are several varieties of original anime work. Most of them are decent, but few of them are bad, and even less of them are memorable enough that it created a franchise. In this decade, let us compare 3 original anime. Puella Magi Madoka Magica, Tsukigakirei and Samurai Flamenco. There are distinction clear as a day between the three anime. The first one is wildly popular, the second one is mildly popular, and the third one is a trainwreck. I choose those three title simply because I have watched them all and can offer my own opinion regarding this matter. Puella Magi Madoka Magica, helmed by Gen Urobuchi, who was noticeably popular as a novelist, yet a little bit unknown to the anime audience, proved to be a highly-succesfull anime which received a universal acclaim from almost all people around the globe, despite it’s status as an original anime. It even grows into a franchise today that has spawned manga adaptations, games, and more. More importantly, it elevated Gen Urobuchi’s status as a writer. Without Madoka, there is no way that he would helm the production of Kamen Rider Gaim and many other work. This shows how much important Madoka is to the anime industry, and the impact that an original anime could have if it could be successful. Madoka contained many elements that were notable, yet alien at the same time, during much of it’s airing, such as a deceiving mascot, darker theme, innovative enemy designs, and many more that makes it a success. This underlines the factor of freedom that I mentioned earlier regarding an anime. Mahou Shoujo Madoka Magica was a wild success. Tsukigakirei comes across as a decent original work, in my opinion. I try not to be biased, since this is one of my favourite anime. 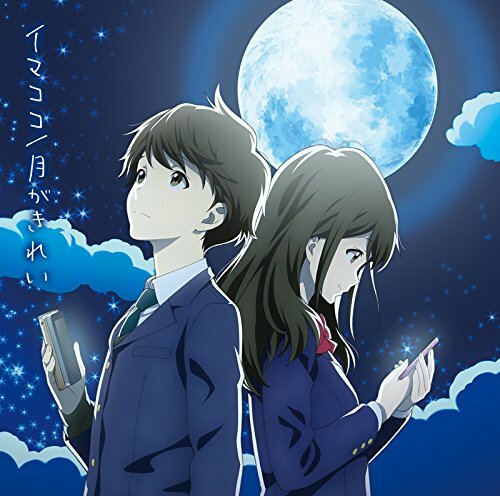 Tsukigakirei was announced and not that many people bat an eye to this original work, frankly because it is an original work and contains not that much big-name seiyuu on it’s project. I myself was surprised to learn about this anime, and I even learned about this anime just one week before it is going to air. However, when the anime is finished, it was decent. Not good, not bad, just fine. Yes, it is really great for me, but what about some other people? To me, this comes as a revolutionary title for middle-school romance, yet to other, this is just a run-of-the-mill romance anime. It was decent but not enough to spark a franchise in my opinion. Tsukigakirei was good while it was running, but that was it. 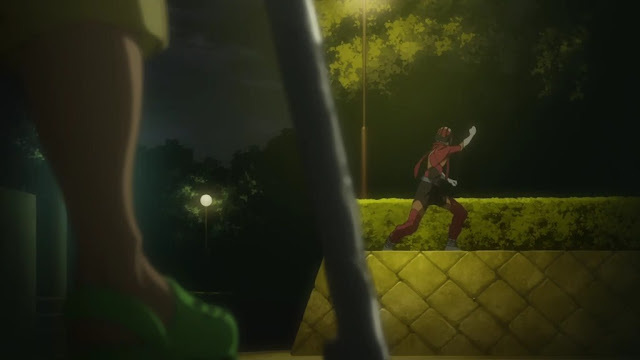 And last but not least, let us speak about Samurai Flamenco. Unlike Tsukigakirei, I learned about Samurai Flamenco through a news on Anime News Network regarding this anime and their innovative take on tokusatsu genre and was going to be made by Manglobe, the studio that was responsible for The World God Only Knows and the third and fourth season of Hayate no Gotoku. The announcement was surprising since not many anime wants to adapt a tokusatsu-like show, given the success of the tokusatsu genre. The unique take on this genre and the inclusion of Tomokazu Sugita was my reason for trying this series out, and the first impression was done magnificently, as the theme and conflict got myself hooked to the series, until it finally implodes by itself, due to several innovative attempt which jumbles the series and, ultimately, prove their downfall. One can’t help but wonder that this series might have been one of the factor that Manglobe has finally closed it doors now. Despite all the potential in the world, Samurai Flamenco imploded before it even finishes. Before we finish up talking about the series, I want to bring about my opinion regarding Tamako Market. Tamako Market is an original anime work made by none other than Kyoto Animation. Before they made this anime, KyoAni has had their prior entry in the original work, the Munto project which was really bad in my opinion. Perhaps they would like to reinvent their original anime entry? Nonetheless, despite their best effort, Tamako Market was not able to capitalize the studio’s popularity to the fullest and was branded as an okay anime by most critics, myself included. However, there are something that the studio looked over from Tamako Market and feels that they could improve upon the predecessor. 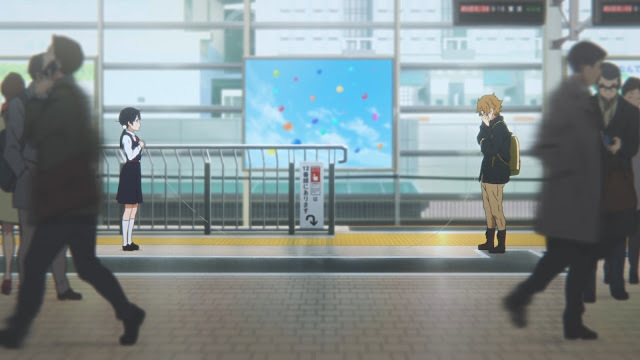 And as a result, KyoAni decided to make the sequel for the show, Tamako Love Story. The movie-sequel removed most of the issue presented by the TV series and instead, focuses on a more different theme altogether, the romance. And as a result, Tamako Love Story proved to be more successful than it’s predecessor, with many critics agreeing on that statement, myself included. That is all regarding what I think about the original anime works. With the number of airing anime each week exceeds almost 30, the number of original anime in them are waning more and more. This is almost a reverse situation of what had happened in the past, evident by the number of popular original anime works that sparked a media franchise and still be known up to this day, even though two decades has past. 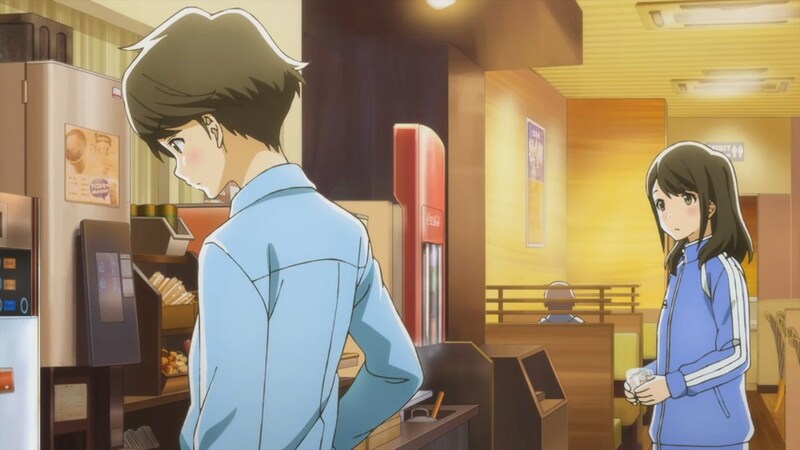 There are several factors that an original anime might need to fulfill in order to be successful, but ultimately, that is up to us, the audience, and the ones behind the scene whether or not the original anime will be succesful or not. The future might or might not be bleak for the original anime.